Escape? 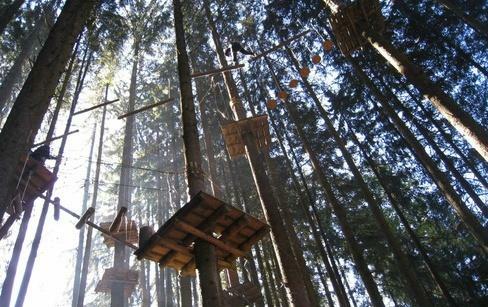 Six tracks of various levels of difficulty, offering climbing belts, sliding ropes and vines (lianas) are at your disposal. Charmey Adventures is located at the mid-station of Rapido Sky which connects Charmey to Vounetz. Access with gondola. Seven tracks of various levels of difficulty can be discovered. An aerial wire tow at a height of between 2 and 25 metres is accesible from 7 years old. A track is reserved to the 4-6 years old. Rent of the climbing harness on place for CHF 8.-. 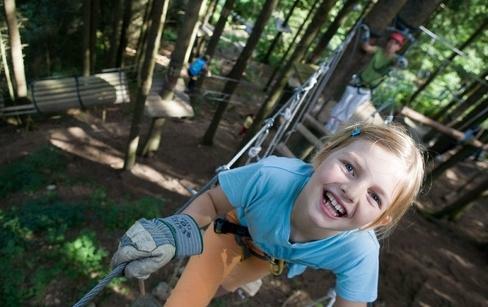 Two big "Tyrolienne" (rope slide) in the middle of the forest complete the offer of the adventure park. The "Squirrel-Track" is especially for kids between 4 and 7 years. 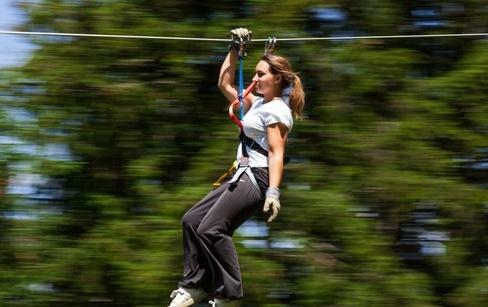 Experience the Powerfan leap into the void, from a platform situated at a height of 13 metres. 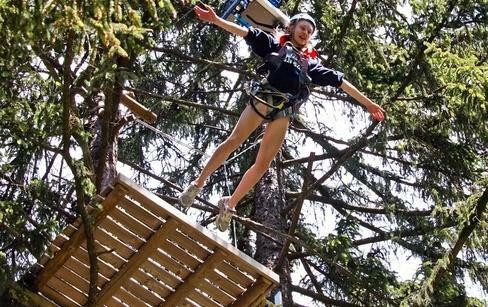 Since 2012, discover the "Tyrolienne Valley", a rope slide made of 12 Tyroliennes from Vounetz to the Charmey Aventures site. Other activities are also available, like treasure hunt in the forest, drive down by grass scooter and package offers. Our snack-bar welcomes you for a rest. 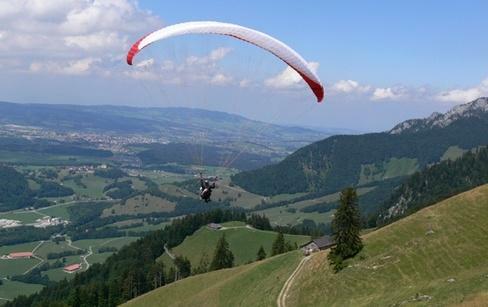 In collaboration with Anémos Paragliding, Charmey Aventures proposes a package combining a entry at the fun park and a paragliding flight of 20 minutes. Both activities take place in Charmey on a day or a half day. The paragliding flight always takes place at the end.